The historic Teatro Capitan Bovo of Isola della Scala, inaugurated for the first time in 1931 and completely refurbished during the first 2000s, inaugurates the theater season of 2019. 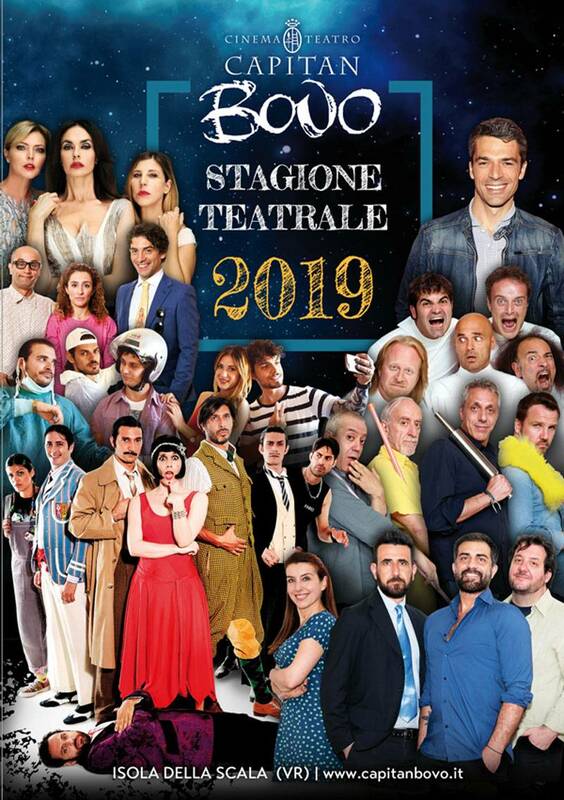 Fun and stimulating, passionate and thoughtful: it is the new billboard of the Teatro Capitan Bovo, born from the research of the best national productions to respond to the tastes and requests of subscribers and not. From 25 January to 15 March 2019 will present a rich calendar of performances, from comedians to music. What better opportunity to spend an entertaining and cultural evening and then stay in one of the eleven magnificent rooms of the Relais Otto Ducati D'Oro, furnished with all the necessary amenities to relax? Do not hesitate to contact the theater to book tickets for your favorite show, and of course our Relais with our b & b formula to ensure a room in which to crown a perfect evening. “Spettacolare!! !” La struttura è spettacolare, la stanza grande, bellissima, pulita e silenziosa. La colazione è ottima e il personale molto cordiale!! La posizione è ideale per arrivare velocemente a Verona e Mantova! !